Caption slip reads: "Photographer: Snow. Date: 1951-09-05. Reporter: Burns. Assignment: Plane crash. Reseda and Plummer. 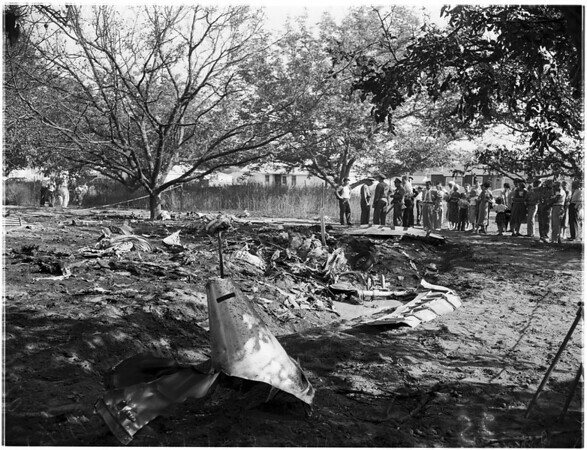 Wreckage of F80 jet which crashed in Walnut Grove".